This style was inspired by Millicent Swift. Her YouTube channel is Naturally Michy. The Queen is such a simple style for anyone looking for something protective and easy to do. This week I have a lot of errands and chores to do, plus I didn't have much time to do my wash regimen this weekend. So I cut it short with a clean scalp and moisturized hair, with little time to do African Threading (for heatless method for stretching my hair). This protective style will definitely be easy to care for. I did my wash regimen and African Threading (for heatless method for stretching my hair). I used the Smoothie, coconut oil, and Eco Styler to create this flawless look. By the 3rd day, I noticed my hair was frizzing up more than it should, because of the high humidity. 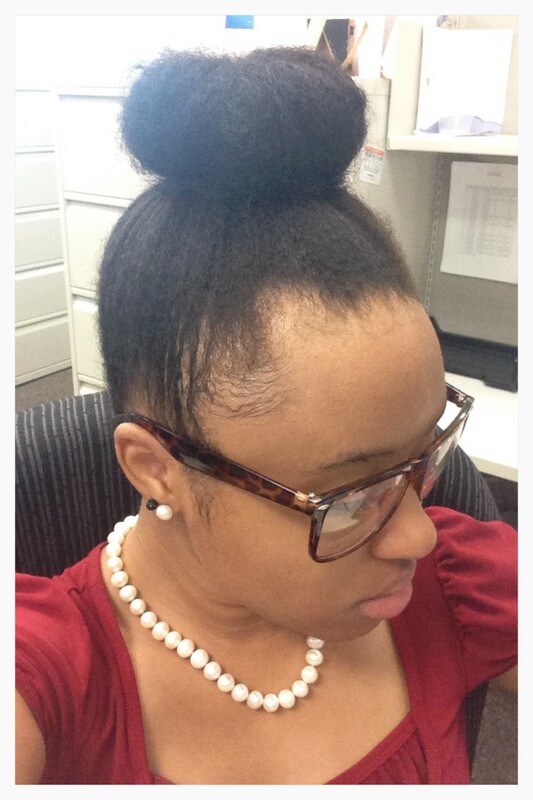 So I know for buns (now until Winter) that I need flat twists or cornrows to add for my bun styles. 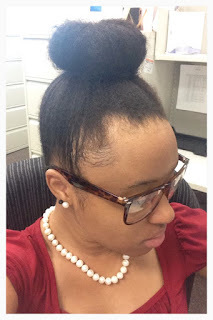 Check out Q: Queen | High Bun Protective Style to try the style for yourself! Stay tuned for more styles! Natural hair says: if you are in need of some styling inspiration, check out natural hair styles on YouTube to do something new with your hair!